Delivering mobile friendly Financial and Performance Reporting Dashboards, CXO-Cockpit adds financial intelligence and agility to the office of finance. 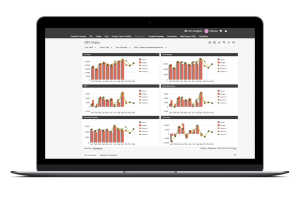 In contrast to the Excel spreadsheet driven, static output of generic BI tools, CXO-Cockpit Dashboards are dynamic, interactive, and offer financially relevant functionality. 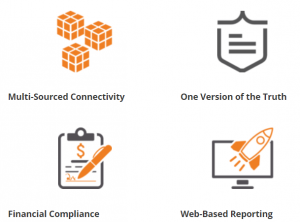 The financial reporting software speeds up the financial reporting process, enabling a faster close and leaving more time for guiding end users to key insights. CXO-Cockpit provides enhanced and predictive analytics, data drill down, point of view commentary, out of the box templates, industry best practice reports, storyboards and guided analysis. Are you interested in using CXO Cockpit for your reports? Call us on +31 23 799 6017. Explore the Online CXO Test Drive! Why should you use CXO-Software? Learn how to master dashboarding! Find out what CXO-Cockpit is a all about! CXO-Cockpit is based on pre-built and configurable Enterprise Performance Management (EPM) adapters that connect straight to multi-dimensional financial data and inherits its hierarchies, structures and metadata. It offers real time and actionable insight into relevant financial data from all leading EPM systems including Oracle Hyperion Financial Management (HFM) Oracle Essbase and OneStream XF.